Remove the giblets from the rabbit and mince very finely, then set aside. Cut up the rabbit with a sharp knife (more detailed instruction here). Remove the forelegs, which are not attached to the body by bone. Remove the hindlegs at the pelvis joint by first snapping the ball-and-socket joint backwards. Chop along the spine to separate the two halves of the rib cage, then chop each side into thirds. Peel the carrots and slice into half-inch rounds. 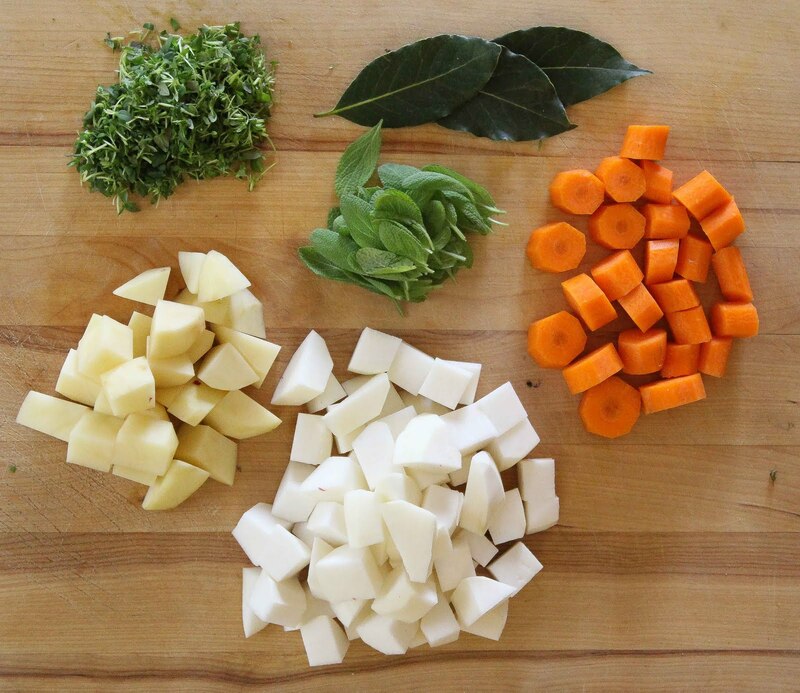 Peel the potatoes and turnips and chop into half-inch chunks. In a dutch oven, heat the cooking oil over medium-high heat. Working 3-4 pieces at a time, brown both sides of each rabbit piece and set aside. Brown the carrot, turnip and potato in the remaining oil. Don't stir too much - you want to form a golden crust. Bring the heat down to medium, then sprinkle the flour over the vegetables. Toss well to mix the flour and residual oil together. Cook for 1-2 minutes, or until the flour turns a dark blonde color. 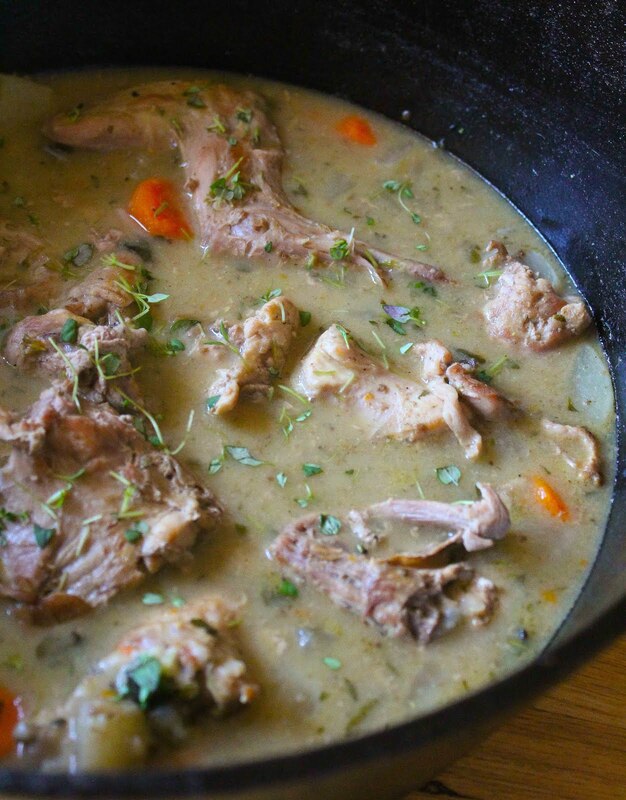 Pour in 1 cup of the chicken broth, and scrape the bottom of the pan to loosen the flavorful brown fond. 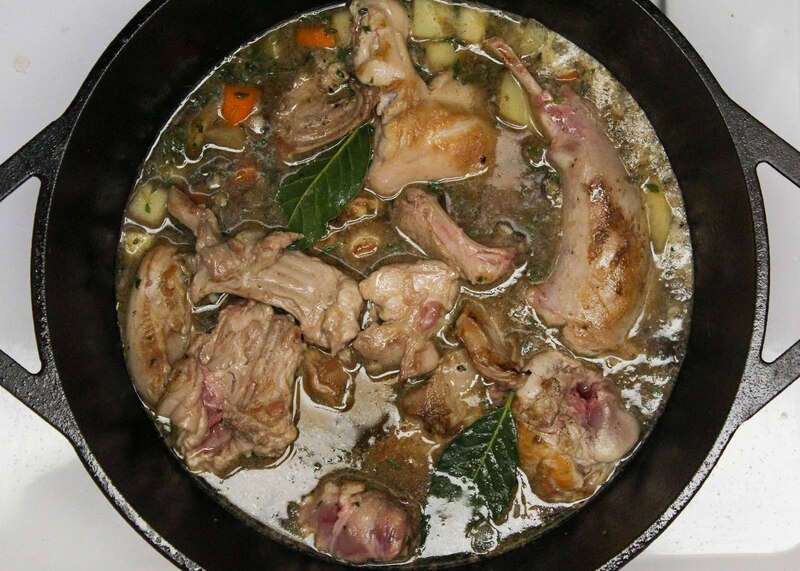 Stir in the thyme, sage, bay leaves and pepper, then return the rabbit to the pot. Top up with additional chicken stock until everything is covered. Bring the stew to a boil, then lower to a simmer. Cover and cook for 60-90 minutes, or until the meat is tender. Stir in the finely minced giblets and cook for 2 -3 minutes more. Taste for salt and fish out the bay leaves before serving. In Literature, for #HobbitMonth, a month-long celebration of Tolkein-inspired food. 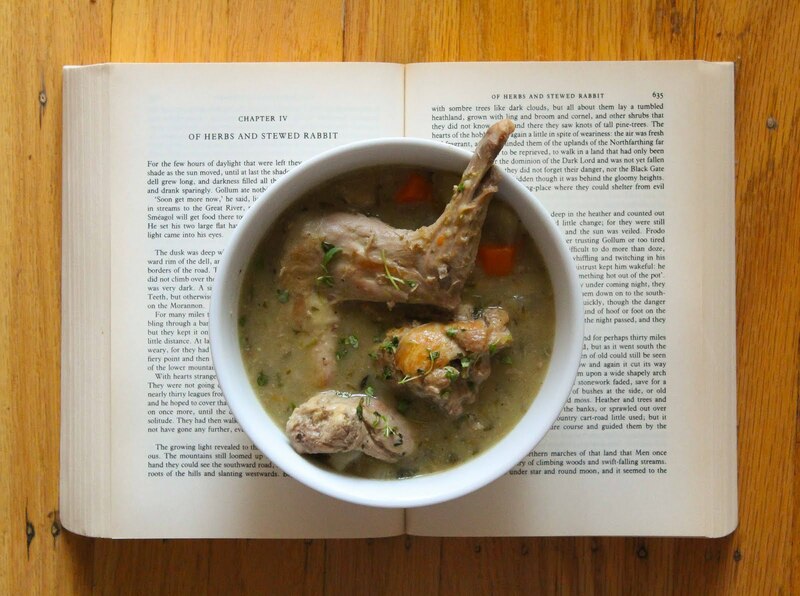 Fiction-Food Cafe, for #ForestFete, honoring food found amidst the forest foliage. 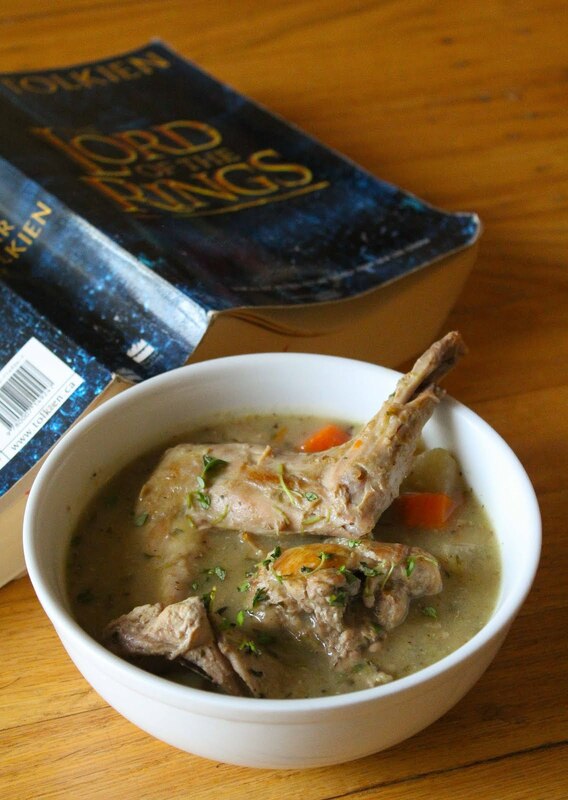 Looking for more fantasy stews & main courses?